Limit authorized personnel to certain areas with an authorized personnel only sign or no unauthorized personnel sign. Post the right sign for nearly any environment that indicates authorized personnel only in restricted areas. Our ready-made and customizable authorized personnel only signs come in various legends, materials, sizes, and colors, including Restricted Area - Do Not Enter Authorized Personnel Only, Danger - High Voltage Unauthorized Personnel Keep Out, Eco-Friendly - Notice Authorized Personnel Only, and Harsh Condition OSHA - Authorized Personnel Only signs. For helpful information about OSHA-compliant signs and other safety signs, view our 10 Signs You Need for OSHA Compliance and Safety Signs Buying Guide resource pages. Ensure employees and visitors know areas for authorized personnel only across facilities, buildings, warehouses, marinas, parking lots, garages, and other areas. 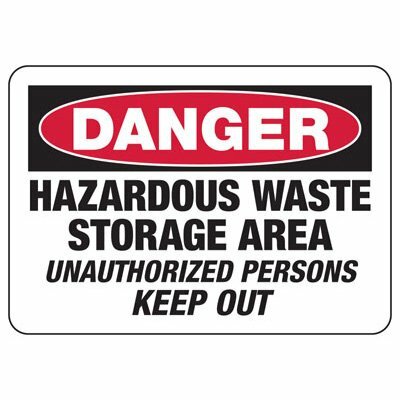 Keep unauthorized personnel out of dangerous or secure areas with a well-defined no unauthorized personnel sign.